The Rosen Group provides direct hire and contract placement of Human Resource professionals at all experience levels, specializing in recruiting, compensation, benefits, HRIS, payroll, labor relations, training & development and employee relations. Our network of talent consists of thousands of highly-qualified, prescreened talent ready to hit the ground running. Check out our current HR job openings! This is a small sampling of our clients. 15 easy ways to recognize & reward your employees HR Morning by Rachel Mucha February 6, 2019 Now more than ever, employers are seeing how important it is to keep their staff happy and motivated at work. It just makes good business sense – satisfied, engaged employees work harder, produce better work and stick around longer. We are excited to announce the launch of a new website, dedicated to A Powerful Team- How CEOs and their HR Leaders are Transforming Organizations! The new website contains information about the book, authors, and details on how to purchase a copy, as well as the abililty to read additional chapters not included in the book. The Rosen Group is excited to announce our most recent placements. HR Director at American Board of Internal Medicine HR Director at Accupac Workers Comp. Specialist at Kencrest Recruiter at Endocenters Learn how we can help you hire the best HR professional for your company. Visit www.rosengroup.com for more about the Rosen Group. The Rosen Group is excited to announce our most recent placements. Talent Acquisition Director at Alan Myers Recruiter at Mauser Recruiter at Quaker Valley Foods Learn how we can help you hire the best HR professional for your company. Visit www.rosengroup.com for more about the Rosen Group. We recently placed a Compensation Specialist at the University of Pennsylvania, and a Sr. Benefits Administrator at Mainline Health. Learn how we can help you hire the best HR professional for your company. Visit https://www.rosengroup.com for more about the Rosen Group. 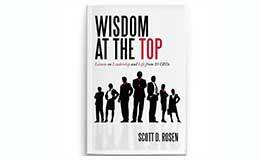 The Rosen Group is please to announce that we placed an HR Director at Princeton University Press. Learn how we can help you hire the best HR professional for your company. Visit https://www.rosengroup.com for more about the Rosen Group. The Rosen Group recently placed 2 Contract Recruiters at Aria Healthcare, a Comp Analyst at Axalta Coating Systems, and an HR Manager at Tekni-Plex , Inc. Learn how we can help you hire the best HR professional for your company. Visit https://www.rosengroup.com for more about the Rosen Group. Reblogged from Forbes Author: Victor Lipman A new study from the University of British Columbia shows that narcissists do best in job interviews – and are more successful “than equally qualified candidates who act more modestly.” The study has substantive implications for Human Resources operations and hiring managers, as well as for job candidates. If you’re already following us on our social media accounts, perhaps you’ve noticed more activity coming from our pages. If you’re not following us already, you should be! We are now on Facebook, Twitter, Google+, and LinkedIn and we’re always sharing stories and photos regarding Human Resources, as well as company news, events, and jobs.